SEGA Fes took place this week, and SEGA fans received a plethora of amazing news. 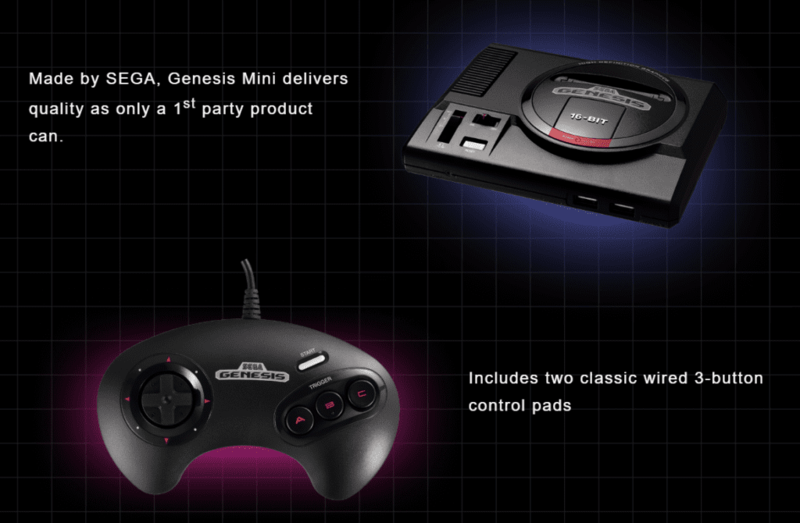 Most notably, SEGA revealed the Genesis Mini, and it’s coming out this year. The Genesis Mini comes packaged with two classic wired 3-button control pads, USB power adapter, power cable, and HDMI cable. The Genesis mini will include 40 games in total, and more info will be revealed later this year. The Genesis mini comes out September 19, 2019.